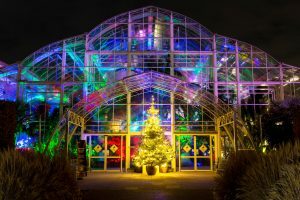 CHRISTMAS Glow returns to Wisley this winter, offering the chance to explore the garden after dark via a trail around the garden featuring botanical illuminations accompanied by atmospheric music. The fourth annual event of its type includes a new route, taking in locations including the Rock Garden, the Seven Acres lake and the Jellicoe Canal. Jigantics, designers of cultivated illumination, will bring a number of new blooms to Wisley, including arches of gladioli over the new Wisteria Walk and a bouquet of alliums on Seven Acres. Installations such as the waterliles on the Jellicoe Canal and interactive colour-changing flowers will return to complete the uniquely floral immersive experience. The paved route will take in not only the floral lights, but also a number of trees, lit with bright colours. 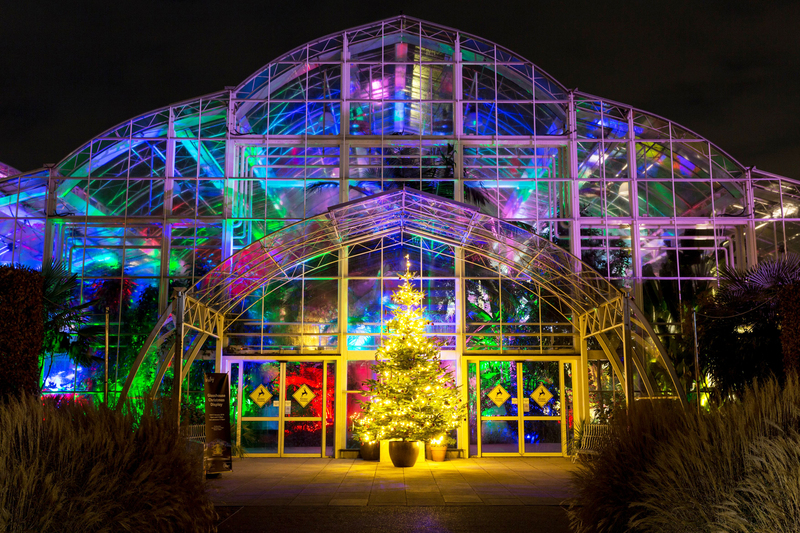 The Glasshouse will also be illuminated and will contain a Woodland Realm with elves, treehouses and Santa’s reindeer. The centrepiece will be a towering poinsettia “Christmas tree” with plant-filled baubles. Due to popular demand all visitors must book a time slot in advance of their visit. Glow 2018 will be open from 4–8pm (last entry at 7pm) every day between 1 December and 2 January except Christmas Eve and Christmas Day. Bookings can be made by visiting www.rhs.org.uk/wisley.